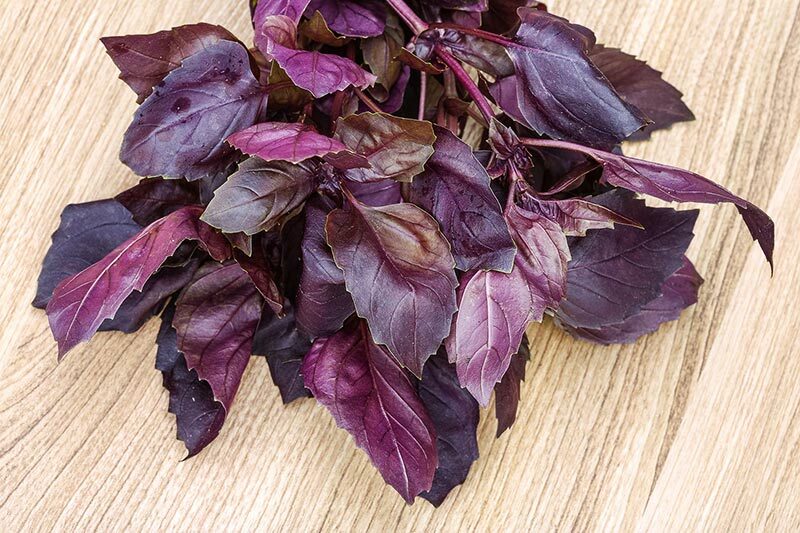 This annual ornamental herb have aromatic dark purple-black leaves, which lend themselves to pasta, vegetable and soup dishes. 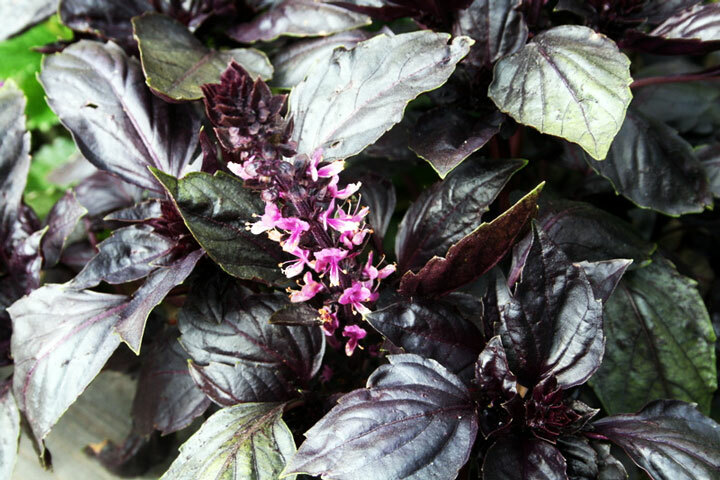 Dark opal basil thrives in United States Department of Agriculture hardiness zones 2 to 10, where it reaches heights up to 24 inches and widths up to 12 inches. 1. Plant seeds in a small pot, making a 1/4-inch indentation in the soil with your thumb. Use moist, sterile planting soil. 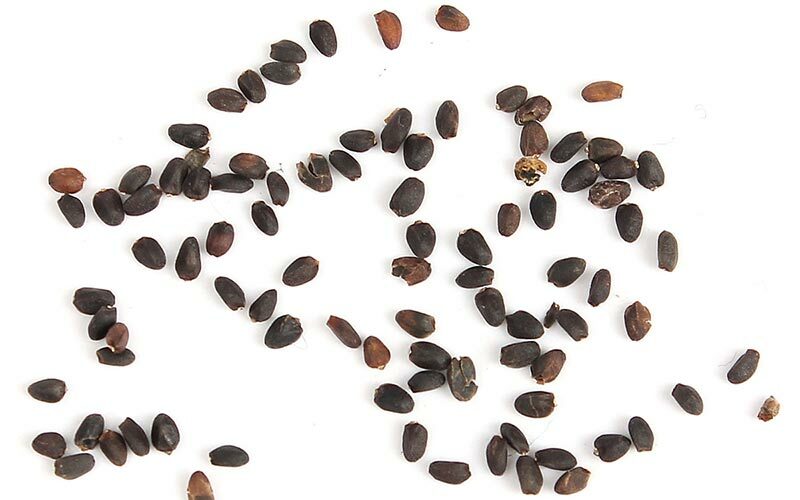 Place the seed in the indentation and cover it with loose soil. “Water in” the basil by thoroughly saturating the soil. Place the pot near a sunny window. 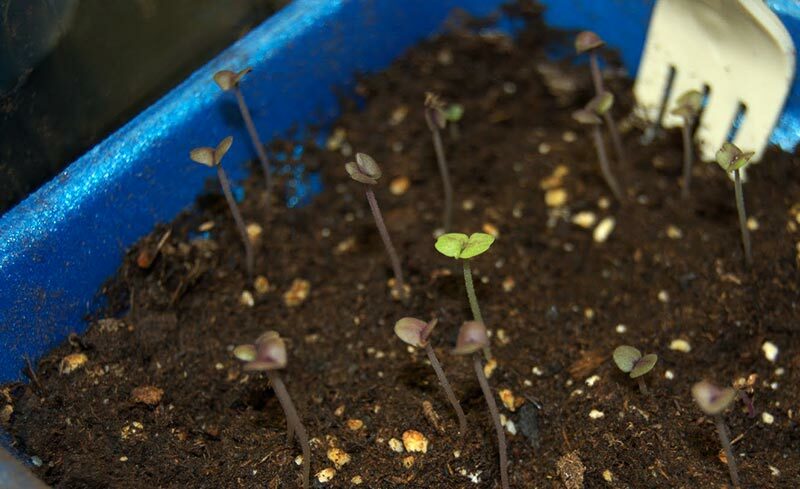 Keep the soil consistently moist during germination, which takes about 14 to 21 days. 2. Select a planting site that receives full sunlight exposure. 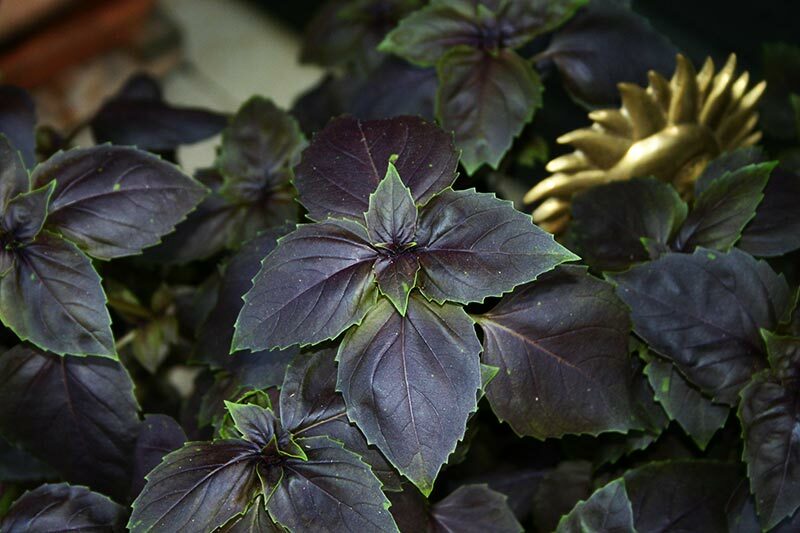 Dark opal basil prefers light, rich, well-drained soil with a pH range of 5.5 to 6.5. Amend the soil with 1 to 2 inches of manure and 4 to 6 inches of compost, working them into the top 6 to 8 inches of soil. 3. 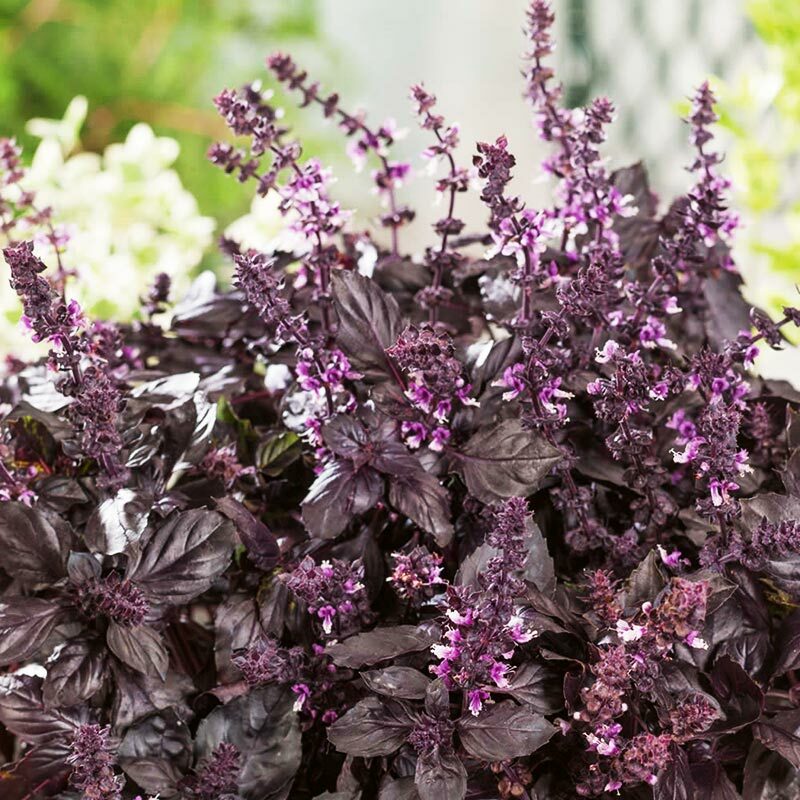 Transfer the dark opal basil plant to this soil 6 weeks after planting it in the pot, during the spring when soil is warm. Make a hole big enough for the entire root system and water-in the plant by saturating the loose soil. Keep 18 inches of space between plants. 4. Apply a 1-inch layer of organic mulch around the base of the plant to help it retain moisture. 5. 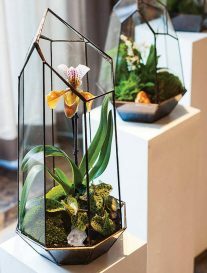 Provide the plant with 1.5 inches of water per week. Water the roots slowly and deeply. 6. 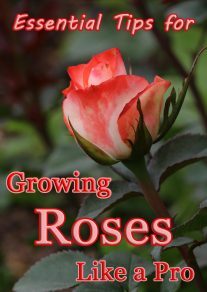 Pinch off growing flower buds by hand as they appear, to encourage bushier growth. Dark opal basil repels pests such as aphids, mites and tomato hornworms, making it a great companion for tomato plants. Over-fertilization may decrease the amount of oil in the plant, which lends basil its fragrance and flavor. 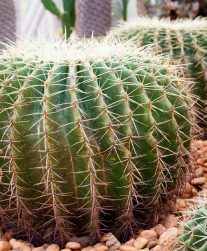 Use fertilizer sparingly – apply a general-use fertilizer at a ratio of 1/3 cup to every 25 square feet of growing area once every 2 to 3 weeks. Pluck off and dispose of any beetles on the plant by hand.